Learn how to be a trader and make profit from social trading with Trading Game - Forex Stocks! We are the best stock trading game and currency trading game for everyone who wants to learn about forex, stock market, equity trading, ETF trading, and many more! Trading Game – Forex Stocks are FREE to use! You don’t have to invest in something that might not benefit you. 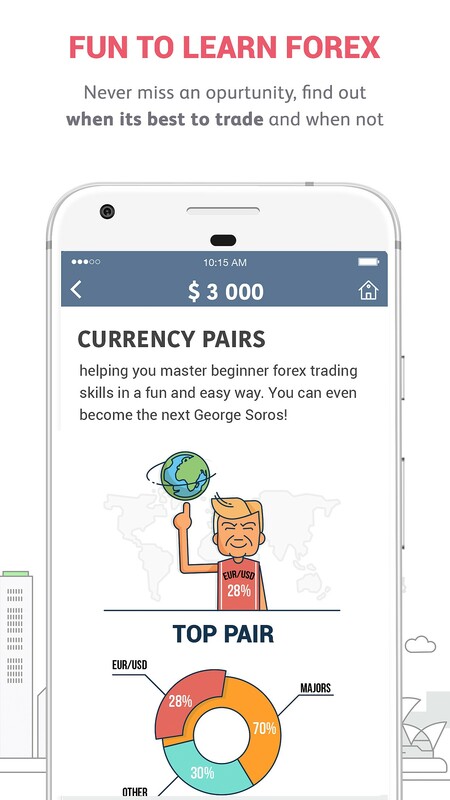 You are FREE to download and use our forex trading app to see if it helps you learn and try trading in forex market, cryptocurrency, commodities, and stock market. NO ADS. 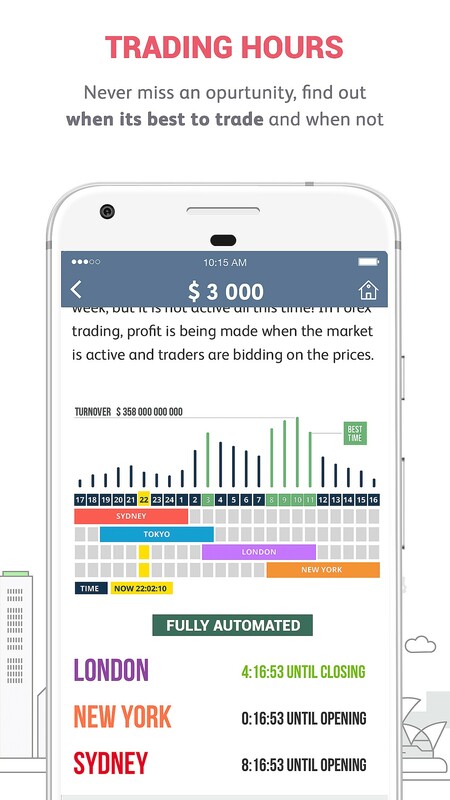 Advertisement is a distraction you don’t need when you play our stock trading game. There are a lot of info, trading signals, and trading hours, that you must take into account. We don’t want to disturb you when you are committing 100% of your attention in our currency trading game. We prefer you to focus and get the best result possible. Learn about your progress and trading history and statistics. - Compete with your friends and other users from around the world in our social trade. - View information about your Account Balance Allocation. - Compare your ranking with other social trade gamers in Daily, Weekly, and Overall view. - Set higher records in forex trading and currency trading for yourself and achieve more success! - Improve your success to 73% ! - User friendly interface and simple navigation. - LIVE real time rates for all Forex, Stocks, & Equity Trading. - Guide and tips from the experts in financial market and social trading. - Various charts and statistics that are easy to understand and convey the right information for you. - Basics of social trading, stock market, and forex market. - Learn what it takes to be a successful trader in stock trading game. - How to read trading signals, Price Charts, and use trading hours to your advantage. - Answer our social trading quiz and share your achievement to your friends. - Fundamentals of Forex indicators. Our lessons also include Advanced Topics like correlation between commodities and Forex market, how to reap long term benefits in ETF trading and stock trading, and the best strategies of how to achieve your goals in social trading. 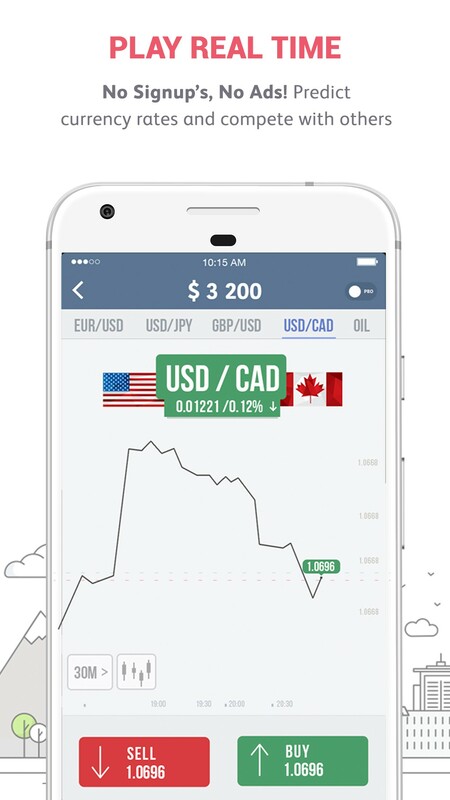 If you have any doubt about our forex trading app, just open our app and see it for yourself! 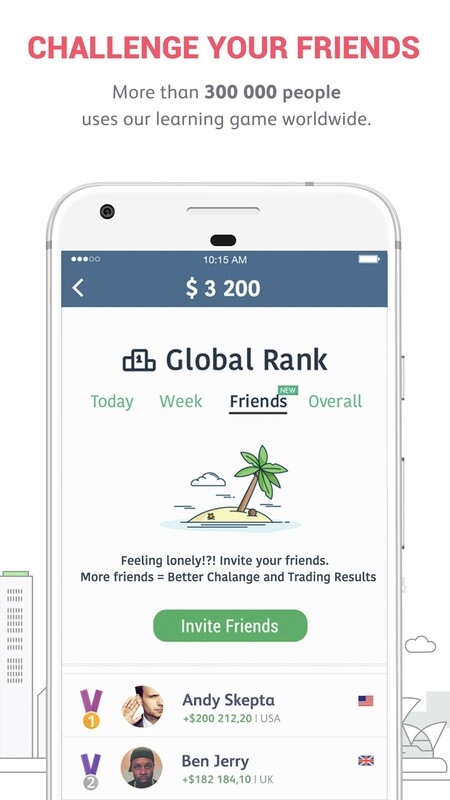 You can compare our social trade and equity trading app with other trading apps on the market and we are confident you will choose this social trading game. 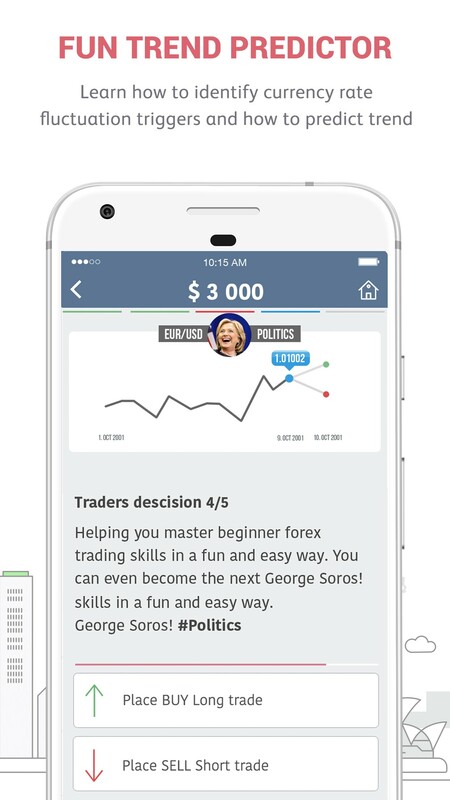 Remember that our trading game app is FREE, has no ADS, and NO Sign UP necessary so take advantage of our financial trading game now!